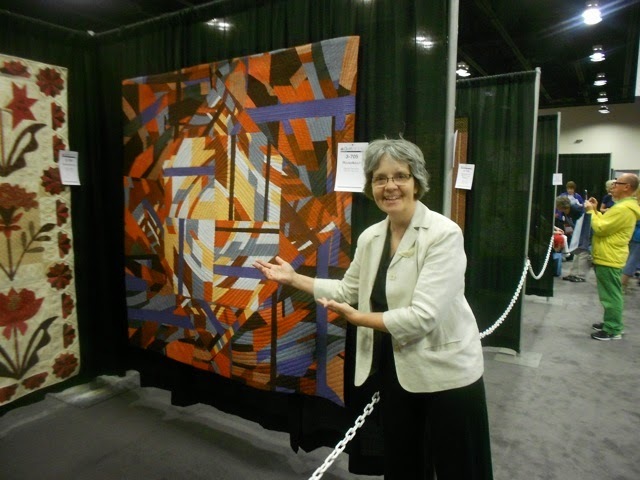 My friend, Paula Kovarik, was in Paducah, KY, and visited the AQS quilt show. 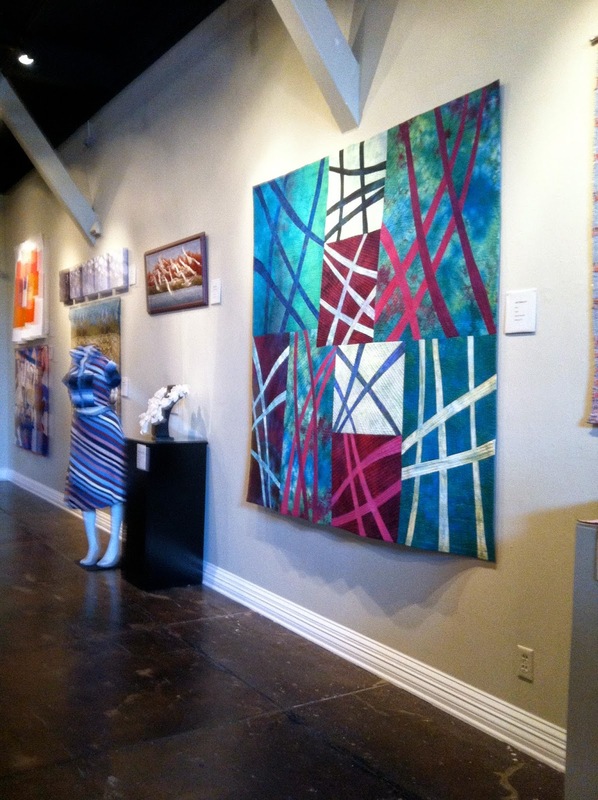 Paula also visited the Fantastic Fibers exhibit at the Yeiser Art Center in Paducah and sent this picture of "Jet Trails #11". I don't often get to attend the shows where my quilts are displayed, so it's always a special treat to receive pictures like these. Thanks again, Paula!